Boulder Creek Festival – Developing Hands Beer Tent – Memorial Day Weekend! 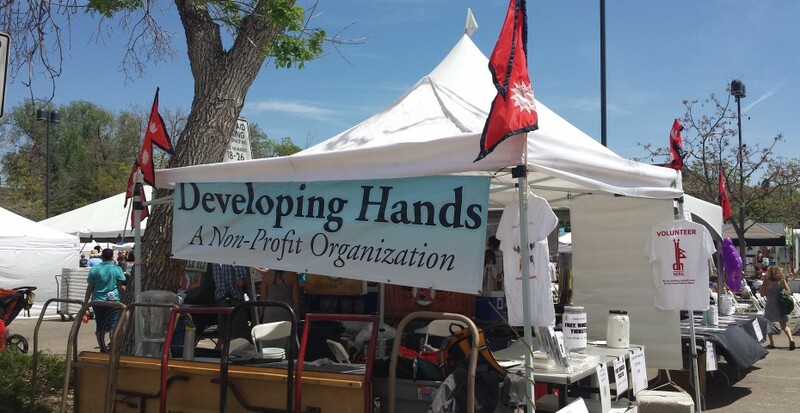 Developing Hands will be sponsoring a Beer Tent at the Boulder Creek Festival from May 23rd through May 25th near the Boulder Public Library off Arapahoe Avenue in Boulder, CO. Please come by and help support Developing Hands. 1. First & Last Name of each volunteer. 2. Which shift(s) you can help. 3. Email address & cell phone number for each volunteer. Bring some friends and have fun doing a very good thing for the kids!! Are you a part of a group or organization that might be willing to help? (A sports team, charity group, church, professional group, social network, or maybe even co-workers.) If so, please forward this info to them as well. Sign up early to volunteer for one of the shifts below. We need 20 – 25 people per shift, so sign up for 2 if you can. Forward to all your friends with big hearts, do something good for the children over your holiday weekend this year with your friends. We will be providing all of the details as we get closer to the event. WE REALLY APPRECIATE YOUR SUPPORT! We can’t do it without you!! Thank you so much for whatever you can do to help!! Save the date! Thursday February 26th for the Developing Hands Benefit Show at Shine in Boulder. Doors are open at 7pm. Music starts at 7:30pm and goes till 10:30 pm! Cover is $20 which includes admission to the show and the FREE BOOZE:-(starting 7 pm – UNTIL IT RUNS OUT). All proceeds from the show go directly to DEVELOPING HANDS A GRASS ROOTS 100% volunteer organization. Buy your Tickets online by February, 20th only for $16. (Link to Purchase Online) Please note, this link will take you to our donation page, simply pay using one time donation link and kindly bring your receipt with you at the gate. Link to Purchase Ticket online: Please click Here. Tickets will also be sold at the door. Please join us for beer, food, live music and fun on Wednesday, April 30th. The event will benefit Developing Hands. There will an opportunity to bid on silent auction items ranging from artwork to jewelry. Handmade Nepalese items will also be available for purchase. Live music will be provided by Shogun Mojo. In addition, you will have the opportunity to sign up to volunteer at the Annual Boulder Creek Festival Beer Tent event over the Memorial Holiday weekend. Last year, we raised almost $10,000 at the beer tent and we hope to beat that record!